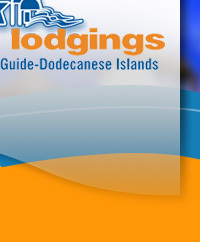 Accommodation guide - Dodecanese islands, Greece. 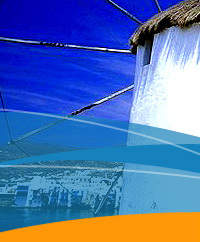 On GREEK LODGINGS.gr you will find accommodation to rent (houses, studios, hotels, rooms) and travel information on ferries, airlines, airports, car rentals, and travel agencies for your holidays or for a long stay rental on the Dodecanese islands of Astypalaia, Chalki, Kalimnos, Karpathos, Kassos, Kastellorizo, Kos, Leros, Lipsi, Nissiros, Patmos, Rhodos, Symi, Tilos and the smaller Dodecanese islands of Agathonissi, Arki, Marathi and Telendos! Buy your dream house on the Dodecanese islands! Check our real estate section which presents houses, land and businesses for sale on the Dodecanese islands! Advertise with us - If you want to list your accommodation or sell your property please contact us.